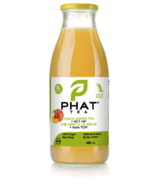 Phat Tea was made to help people improve their health and performance by effectively using fat for fuel. 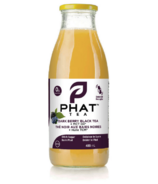 The goal was to replace the spike and crash of an energy drink for a more stable energy boost, remove the artificial sweeteners that wreak havok on your gut and add soluable fibre to help good bacteria thrive. Instead of adding sugar that causes weight gain and brain fog, C8 MCT oil was added to help use fat for fuel and better cognitive function. 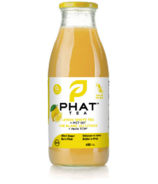 Ditch the sugar, burn the Phat!